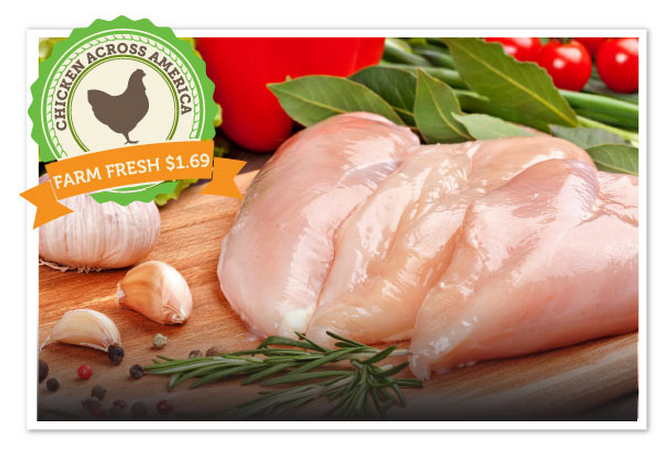 Zaycon Foods just opened their bulk fresh chicken sale for $1.69 lb! They come in 40 lb cases and it’s fresh, never frozen, boneless, skinless chicken breast. You will place your order online today and then select a pick up location in your area. For me the delivery dates are the end of May, which may sound like way to early to buy… but these sales always sell out! Be ready to freeze the meat in meal sized bags so that you can live off of it for months to come (one case lasts us about 3 months). You could always split the order with a friend or neighbor if you don’t need 40 lbs! See more ways to save on meat & produce.